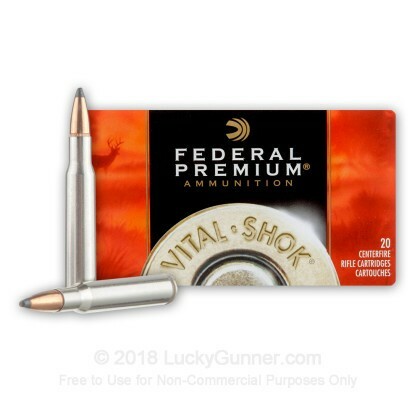 Federal Premium's Vital-Shok line of ammunition loaded with Sierra GameKing projectiles has earned a reputation for deadly accuracy and is perfect for your next big hunt! 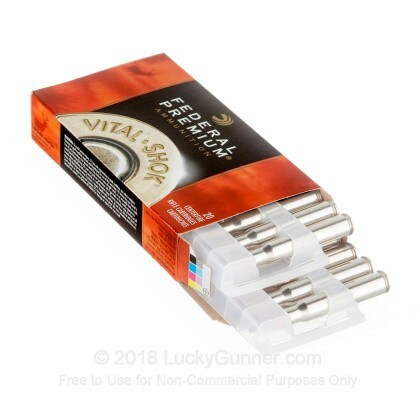 This cartridge is ideally suited for hunting game at longer distances where a premium bullet is required to get the job done. 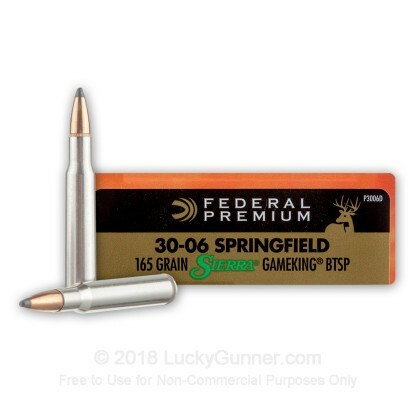 This load features Sierra's GameKing bullet which is designed with a boat tail contour at its base resulting in less wind drift than conventional flat base bullets. This improved accuracy yields quicker, more humane kills. 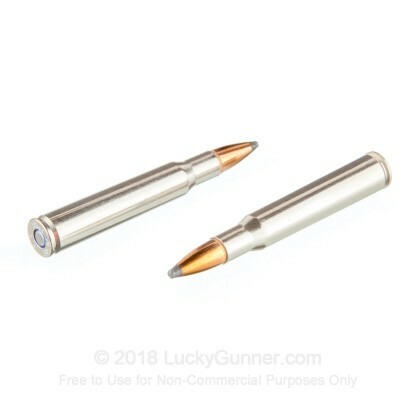 This match-grade accurate bullet features a soft point at the tip of the bullet designed to mushroom on impact creating a larger wound cavity to quickly bring down game. When you take to your next deer hunt with your 30-06 Springfield rifle, be sure to bring a box of quality ammunition that you can rely on. This cartridge is loaded in Minnesota by Federal Premium. 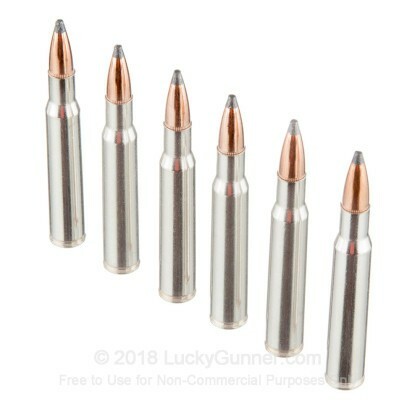 This ammo is brand new, brass-cased, boxer-primed, non-corrosive, and reloadable. 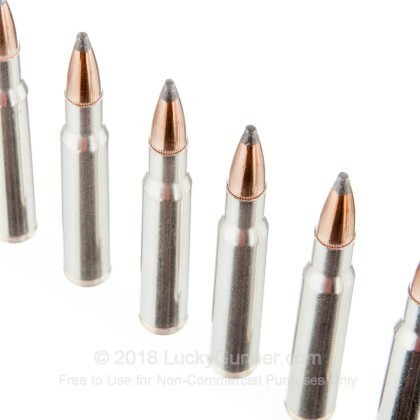 Have used these federal bullets for my 30-06 A-Bolt for years and have never had a problem and last seven deer dropped in their tracks. Have had to go further than 50 yards to retrieve a deer.